Happy Halloween! Today I have a treat, actually a treat bag, to share with you. I created this for the new linky party at Paper Issues called Witchin' You a Happy Halloween, sponsored by SRM Stickers. 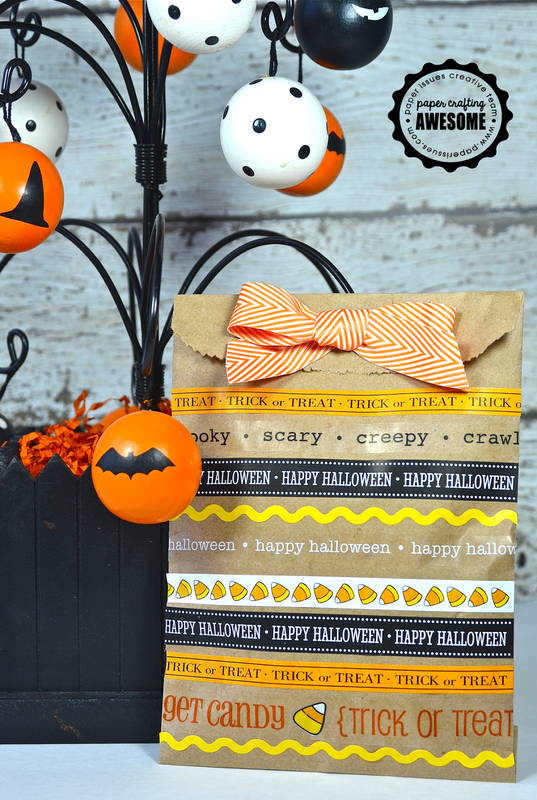 This bag was quick and easy to put together with SRM's Halloween border stickers and a kraft bag. I adhered the border stickers, starting at the bottom of the bag, trimming away any excess with craft scissors. I used the remaining piece of the sticker further up the bag (the border strips are 12" long). I'm thinking these would be great for Alexa to give out to her friends at school or dance. Gotta get busy making some more...See you tomorrow. I LOVE how you used the border stickers on the bag, Lisa! Such a great idea! Love how this turned out! Super cute. Love this idea! Great idea ! I miss the "treat bag" thing for all the occasions. That's not usual in France, and I think it should be. Such a quick, easy and fun way to decorate a bag! Darling bag, Lisa, such a great idea for border stickers! How stinkin cute is that! Love it, simple but elegant, well done. Awesome idea. They are beyond cute. Soooooo cute!! I love love love this!!!!!! I love it. I am looking for something simple to package up my Halloween treats for the girls. This looks like fun. This is so adorable, Lisa! Such a fun treat bag!! totally fun, Lisa! 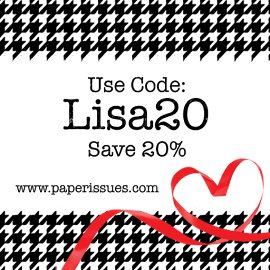 i love that you were able to incorporate so many of the borders into one project - woot! <3 i'll bet Alexa's friends loved them!